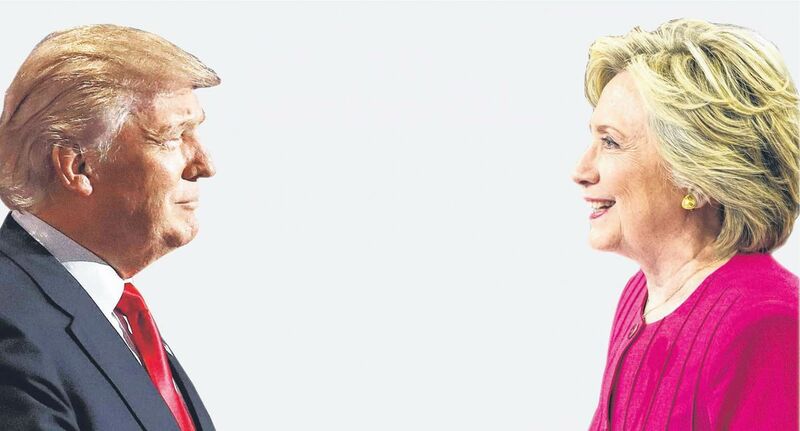 With the end of both Democratic and Republican conventions, there are less than a hundred days between now and the 2016 United States presidential election, which will see American voters elect either Mrs Hillary Clinton or Mr Donald Trump. Despite the brouhaha over campaign rhetoric and candidate personalities, Asia is likely to continue to be a focus of either candidate's foreign policies once they actually take office in January. The real concern is the challenges that the next president will face at home and abroad, which could end up affecting the trajectory of the US' Asia policy irrespective of their initial inclinations. To be sure, the differences in the two candidates' approaches to Asia could not be starker. On the one hand, Mrs Clinton, a former secretary of state who oversaw the Obama administration's rebalance to Asia, offers the closest thing to continuity of America's commitment to the region, down even to some of the personalities that could form her Asia team. On the other hand, Mr Trump, a businessman and the most inexperienced party nominee since Wendell Wilkie in 1940, has questioned nearly every building block of America's regional commitment - including alliances, free trade and even its nuclear umbrella - and alienated large parts of the Republican foreign policy establishment. That said, it is also easy to overstate these differences. In reality, despite lingering concerns about the sustainability of the US commitment to the Asia-Pacific, either a Clinton or a Trump presidency would likely see the focus on Asia remain largely intact once campaign rhetoric gives way to governing realities. Rhetoric aside, no sitting president can afford to ignore Asia's centrality to US interests as both the centre of global economic opportunity and the source of key security challenges, be it a rising China or a nuclear North Korea. The best example of this is Mr Jimmy Carter, who issued a Trumpian call to withdraw US troops from the Philippines and South Korea following the Vietnam War but eventually had to reverse course due to stiff bureaucratic resistance as well as rising regional and global threats, including Soviet aggression. Irrespective of who gets elected, he or she will encounter the same set of daunting domestic, regional and global challenges that could end up being far more important in affecting the US' Asia policy than their initial inclinations. Furthermore, irrespective of who gets elected, he or she will encounter the same set of daunting domestic, regional and global challenges that could end up being far more important in affecting the US' Asia policy than their initial inclinations. Domestically, the next president will face challenges that could constrain America's ability to keep its commitments. A wave of populist discontent in the US has spilled over into party politics, thereby threatening to erode the oft-cited bipartisan consensus on Asia policy centred on the twin pillars of alliances and free trade. In this environment, the prospects for finalising the Trans-Pacific Partnership (TPP) in the lame duck session of the US Congress have dimmed, and both candidates are unsurprisingly opposed to the pact in its current form. Even though most expect Mrs Clinton to emerge victorious in the election and then reverse her position after some time, she will likely need to expend significant political capital to get it through. Meanwhile, unresolved budgetary issues still threaten to undermine America's military power and presence. The spending caps set under the Budget Control Act of 2011 continue to apply today, and the next president will need to work with Congress to raise them so that workarounds and stopgap measures do not have to be found annually and defence budgets can be set with greater predictability. Compounding these problems is the fact that both Mrs Clinton and Mr Trump are also running for office as their parties' most unpopular nominees in recent history. That poses a challenge not only for winning an election, but also potentially in governing the country as well. Depending on how House and Senate races shape up, we could see an American president that faces both a divided populace and an obdurate legislature, thereby sapping energy, time and political capital that could otherwise be devoted to a more activist foreign policy. Additionally, for the first time since the end of the Cold War, the US could have a president who could last only a single term, unlike the past three consecutive predecessors. Regionally, even though Asia remains a growing and dynamic region, challenges are threatening to disrupt prosperity and the peace that undergirds it. From the cyber domain to the South China Sea, a more confident and assertive China is now behaving in ways that threaten American primacy, restrict the autonomy of smaller states and undermine regional stability and international law. Amid heightened regional anxieties and rising domestic clamour, dealing with Beijing in a way that balances forging cooperation where possible while always managing competition and avoiding conflict will be a challenge for the next president. Apart from the China challenge, transitions in a number of South-east Asian states could also pose a rocky road for the next administration. In addition to grappling with a fragile ongoing transition in Myanmar and concerning trajectories in both of America's South-east Asian treaty allies - with Thailand still under junta rule and the Philippines under the new president Rodrigo Duterte - elections in Cambodia and Malaysia early on in the new administration's tenure could see it having to confront either unprecedented wins for the opposition or even political unrest amid more contested outcomes. Beyond responding to these individual events themselves, such developments could also end up informing how Washington handles democracy and human rights issues which have at times forestalled collaboration with its Asian allies, partners and friends. Globally, a complex set of threats will test the next president's ability to keep the focus on Asia. As significant as Asia is, it is also only one part of a tumultuous and fragmented world that the global superpower will confront in 2017. If this year is an indicator of things to come, a dangerous ISIS, simmering Middle East, resurgent Russia, frail Europe and weak global economy are all likely to vie for the president's attention. The Obama administration, to its credit, managed these manifold challenges but steadfastly refused to allow them to overwhelm it and undermine its focus on the rebalance to Asia. But with the pressure for military intervention or greater activism elsewhere continuing to grow, it remains to be seen whether the next president can ensure that the US can tackle these challenges while also avoiding being distracted from Asia once again. Of course, these challenges are neither inevitable nor insurmountable. A resounding Democratic victory for Mrs Clinton could give her the requisite mandate to not only sustain but also significantly strengthen the US rebalance. And rising regional and global threats can unite and focus a nation as much as divide and distract it, depending on a range of other factors, including the choices that its leader makes. Regardless, with the US presidential race now largely locked in place as it traditionally is until the first presidential debate, it is worth looking beyond the candidates themselves and thinking more deeply about the world the next president will inherit that will shape his or her approach to Asia. •The writer is Associate Editor at The Diplomat magazine and a doctoral candidate at the Fletcher School of Law and Diplomacy at Tufts University. He writes and consults extensively on South-east Asia, Asia security policy and US foreign policy in the Asia-Pacific.